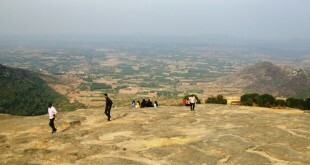 Bheemeshwari is a beautiful place in Mandya district of Karnataka. It is idle for nature lover who can spend few days with friends and family and enjoy and have fun. 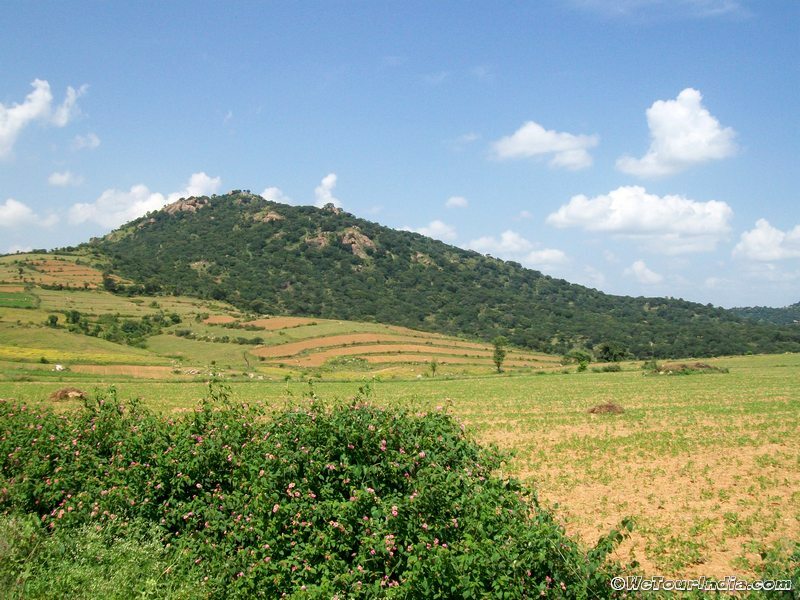 The area is surrounded with lush green hills and deep ravine every where, people say the area is home for the wild elephant, boars, monkeys, jackals etc and the shallow river Cauvery flowing bottom of the hills has crocodiles in it. 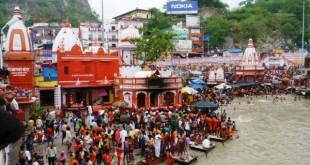 Bheemeshwari is also best known for Fishing of Mahseer (a kind of game fish). 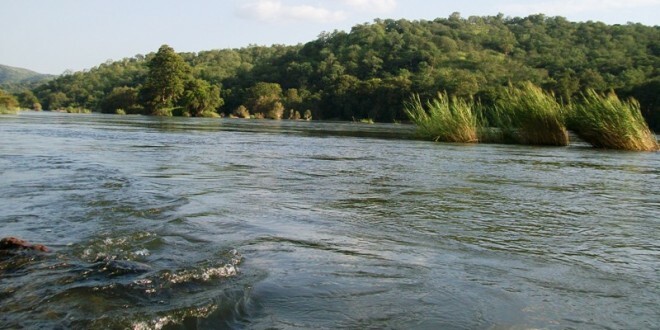 There are various fishing camp in Doddamkali (7 km upstream) and Galibore (16 km down stream). But it is said that fishing is stopped by government. 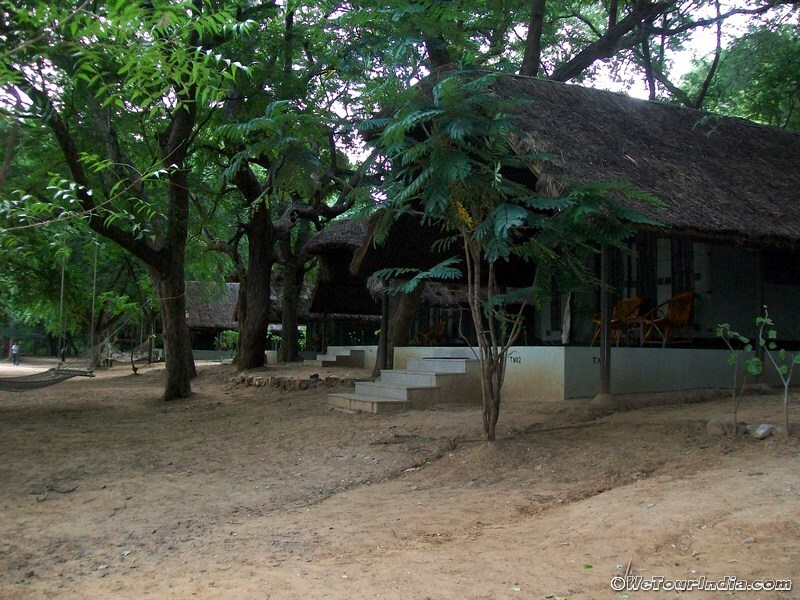 The best part is that, Jungle lodge a government-owned resort operates in that area where one can spend one or more days to get the feel of jungle life. 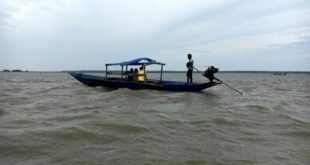 They organize many activities like boating, river rafting, trekking, kayaking, Zip line, Burma-loops; etc provide hygienic food to eat and huts to sleep at night which will be really a titillating experience. Water lovers can enjoy bathing and kidding in river Cauvery, many people also came for picnic on the bank of river. The place is good for bikers to come from Bangalore as the road is good and distance is around 105 km. It is 28 km from Sathanpur. Road ride is superb from Sathanpur to Mekedhatu as you will see lovely & beautiful scenery all around. 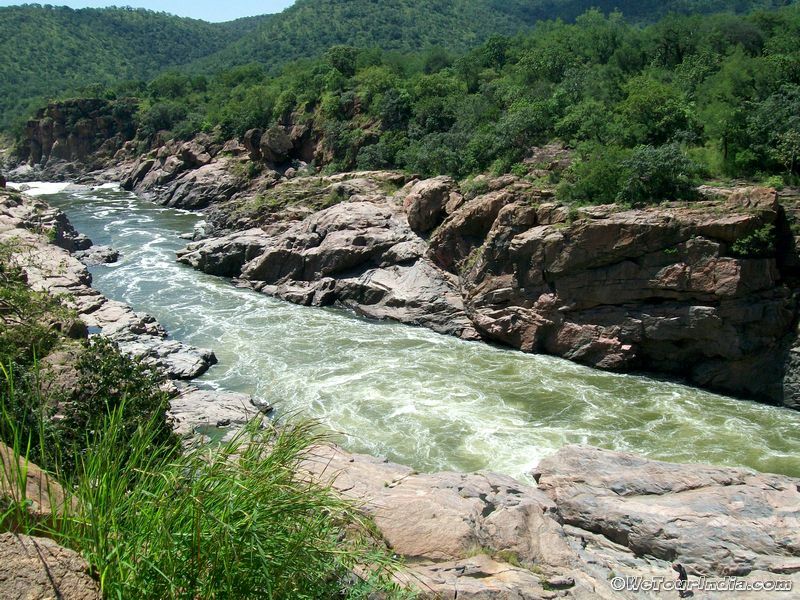 The place is known for ultimate beauty of river Cauvery which flows into deep gorge along the smooth cut rocks which is also dangerous but excellent spot for photography. 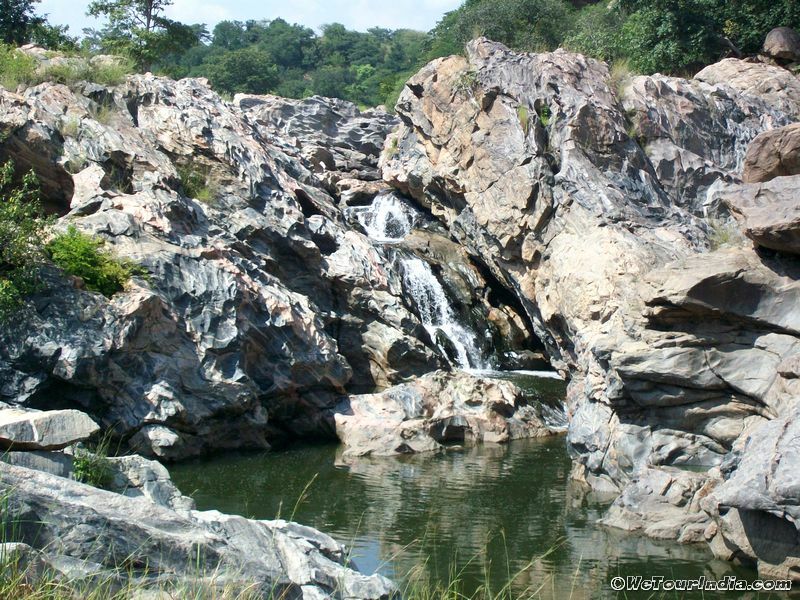 Again the same river Cauvery forming small but scenic waterfalls. It is 5 km before Mekedhatu. Visit once while returning from Mekedhatu if time permits, but do not visit in dry seasons as water dries out in summer. From Bangalore city To Bheemeshwari: 105 km, Time taken 2 hrs. (e) Fun activities Zip line, Burma loops, water sports etc. (d) Shivasamudram: 25 km after bheemeshwari. (f) Chunchi Waterfalls: 5 km before Mekedhatu. If you want to enjoy and spend night at resort than book Jungle Lodge & Resort in advance 2-3 days before you visit Bheemeswari. Their charges vary from Rs.1100 to Rs.1450 per head for day visit and Rs 600 extra for river rafting if water is sufficient. If you want to stay at night in those huts, than it will fetch you around Rs 3000 per persons. Jungle lodge Bangalore office no. 080-40554055. Other options for fun liking guys is going to Muthathi which is a small village 5 km before Bheemeswari ask the shop owner they will providing rooms @ 300 to 600 rupees. Rs. 600 rooms have bed and blanket so it’s not bad. Traditional South Indian foods are provided by small shops in the village. Communication with them will be a problem for Hindi speaking people but they are good and will provide all information if talk to them. All events in Jungle Lodge is organized only on prior booking but river rafting can be done at Rs. 600 per person if you reach before 12 in afternoon. 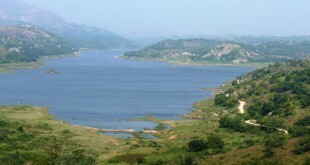 River Cauvery is shallow and wide and is ideal for bathing. 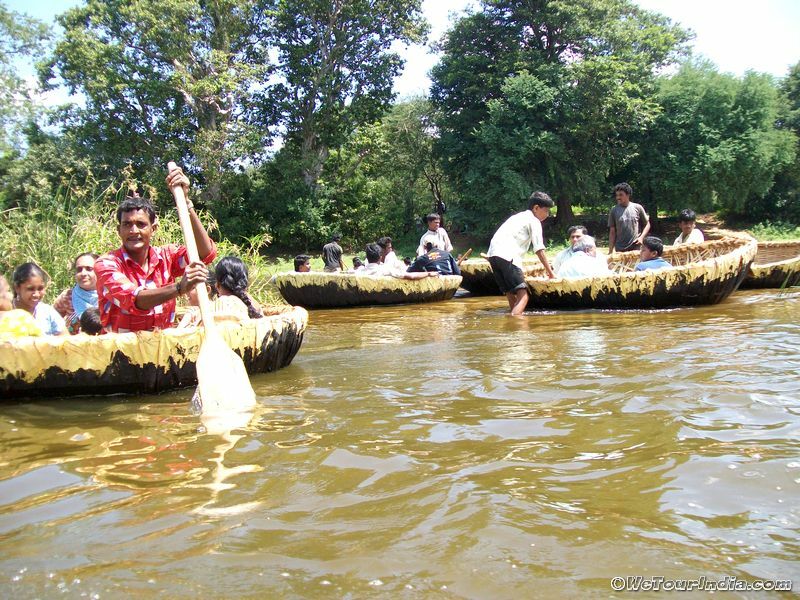 Coracle (small round boat) can be used to cross river to visit beautiful place on the apposite bank of river. River water is little scary as it is also the home of crocodiles. Two days are sufficient to enjoy the lively nature at Bheemeshwari and visit other places like Mekedhatu and Chunchifalls. Shivsamundram is apposite to Mekedhatu therefore need extra time to go. zuber khan on Dal- Baati Churma My Favorite of Rajasthan?